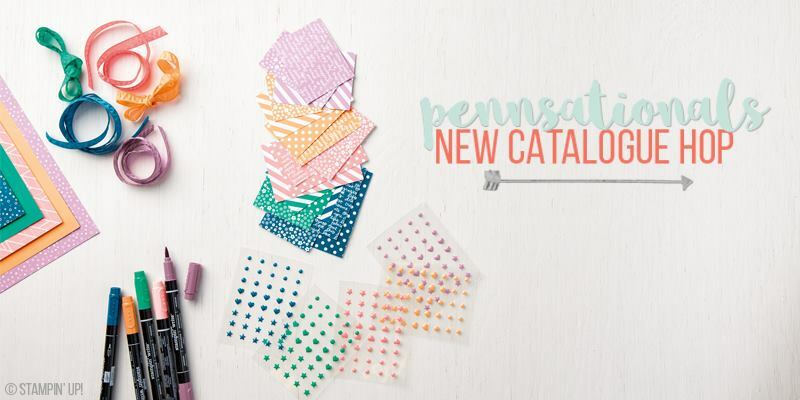 Welcome to the Pennsationals New Catalogue Launch Blog Hop. Phew, that was a mouthful hey! 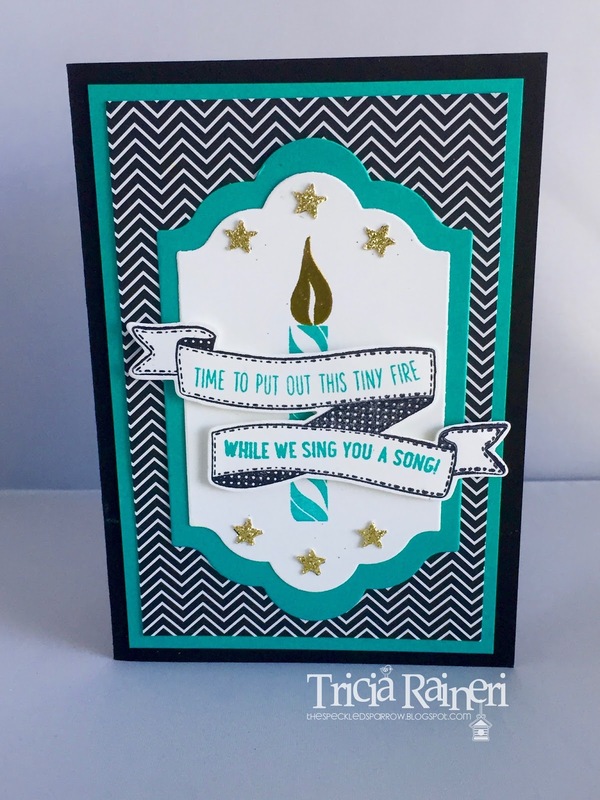 We are a group of Stampin' Up Demonstrators who love to blog. I hope you enjoy the blog hop & don't forget we love comments so please leave a comment at the end of the post! 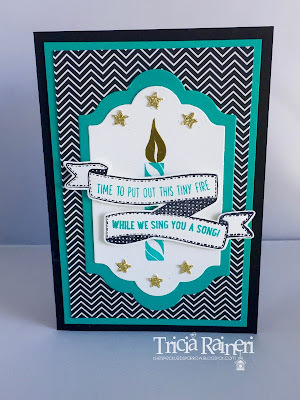 Today I am sharing 2 cards I made as part of a Birthday Banners set for our Winter Retreat. There were 6 cards in this set & over the next week I will be sharing the rest of the class. I wanted to share how the Pop Of Pink Specialty DSP is primarily pink, but it can be used for both male or female cards. Those of you who are regular visitors to my blog will know I love to make a Male VS Female set, which is exactly what I have done here! The first card I made uses Bermuda Bay & Basic Black with a fun new stamp set called Birthday Banners, which can be found on page 15 of the Annual Catalogue. The sentiment stamps are shaped to perfectly fit in the banner & being made from photopolymer, it makes this so easy to line up. I have used the Sprinkles punch for the gold glimmer stars. My second card is a great card to use up scraps or you could even use washi tape. 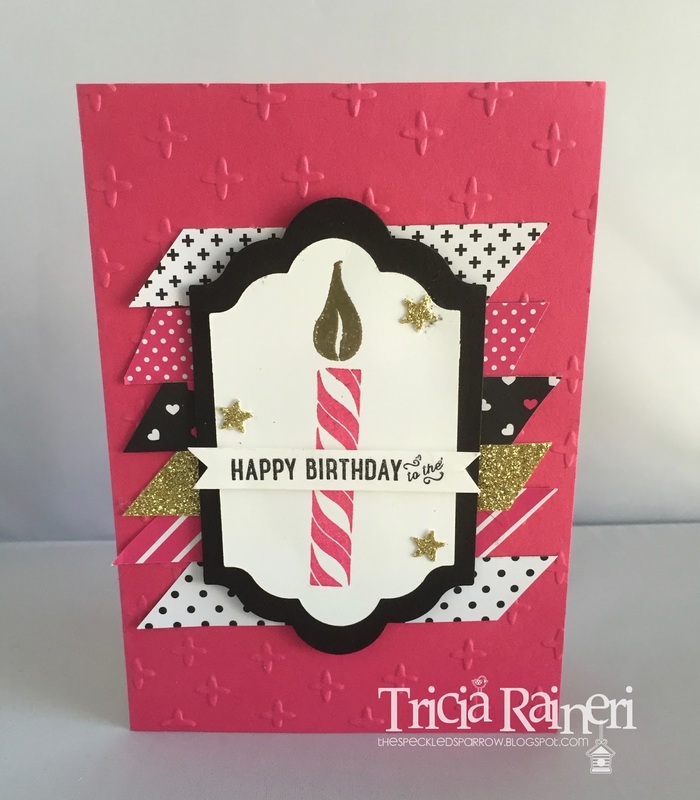 I have used a new embossing folder in the background called Sparkle.